WPS Office can open almost any document including PDF, TXT and Microsoft Word, PowerPoint and Excel. This means when you use WPS Office to open a document from email or your favorite cloud service, you can be sure it will look exactly the way it would on your PC. 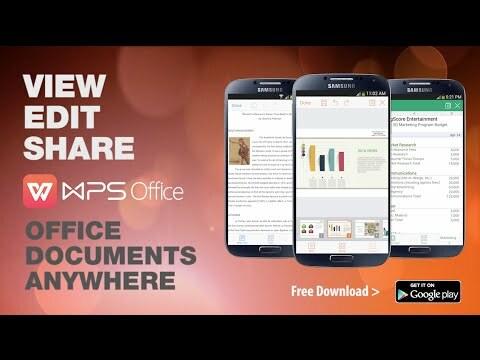 With WPS Office you can share your files through email, Evernote and more. You can also share presentations with others over WIFI or directly to other DLNA compatible devices.